For top notch project managers, excellent project management communication skills are a must have. This quite simply is because successful project management is all about effective project communication and being able to motivate and lead resources into giving 110% into delivering the project. So what is project management communication and why is it so important? Well think of it this way. If successful project management was just about having a detailed project plan, accurate project risks and issues log, generous project budget and the occassional team meeting, do you think experienced project managers would be so highly paid or sought after? No, the reality is that any vaguely competent project management office (PMO) person could knock all of the above up without too much difficulty. 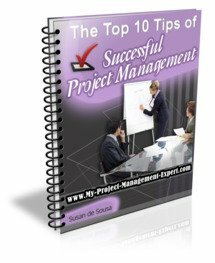 The reason for requiring a project manager is to make the project plan, a reality. And this requires good project management communication and decision making leadership. Ensuring that everyone on the team is working to the same goal which will often have a changing scope. Being able to manage the expectations of those in your upwards reporting line. Now I know what you're thinking. You're sitting there wondering how on earth you are going to successfully manage a project without any or all of these skills. Well don't worry. Project managers aren't born, they are made and quite frankly project manager's, no matter how experienced they are, have to keep learning new skills as the environment they are working in keeps changing. Otherwise they can soon find themselves unemployed. To take myself as an example. I have been an interim program and senior project manager for over 13 years. I have consulted for over 30 blue chip organisations on 3 continents and delivered some of the most high profile cutting edge projects around. Yet most days I learn something new. Yesterday it was spending time with my warehousing project stream and learning about the huge printing, warehousing and distribution effort which will enable 75 million playslips to be printed in 10 weeks, stored and then distributed to 28,800 retailers in a 5 day period. Absolutely awesome and a real eye opener I can tell you! But the same thing applies to project management communication. It's all about listening to others, seeing how successful project manager's lead their projects and then cherry picking the best to use yourself. And the one thing you will quickly discover is that there is no one way to communicate. Much of it depends on the person involved, the type of project they are running and the tightness of the deadline. For example I am a hard task master. I push and push and push and I won't countenance any slippage unless there is a very good reason. By the same token I always praise those teams who have done good work and ensure that all the senior management are aware of it. Essentially the team resources know where they are with me. I say what I think and they know if I'm going to stick the knife in, I'll do it to their face, not slyly in their backs when they aren't looking.